Members of the Safford lab are heavily involved in documenting trends in vegetation and disturbances like fire and insect outbreaks, and their interactions with climate and management over the last century in California. Examples include trends in fire severity and area and their connection to management and climate (Safford et al. 2008, Miller et al. 2009, Miller et al. 2012, Miller and Safford 2012, Mallek et al. 2013, Steel et al. 2015); trends in fire frequency and their variation in space and time (Van de Water and Safford 2012, Safford and Van de Water 2014); trends in forest structure and composition and their relationship to changing climate and landuse (Dolanc et al. 2013a, 2014); trends in the geometry of fire severity and impacts on wildlife habitat (Steel et al. 2018, and study in progress); effects of fire severity on lichen diversity (Miller et al. 2018); and environmental trends and their effects on fire, vegetation, and management (Safford et al. 2012a,b). We recently published a book-length summary of historical, current, and potential future conditions in yellow pine-mixed conifer forests in the Sierra Nevada (Safford and Stevens 2017; see more below). Members of the lab were important contributors to a recent BioScience summary of the relationships between the massive recent wave of insect-driven mortality in the Sierra Nevada and potential future fire patterns (Stephens et al. 2018), and Becky Wayman is leading a field study looking into how tree mortality affects fire severity. At higher elevation, Sarah Winsemius is leading a study that is examining the effects of disturbance and increased precipitation variability on carbon and water resources in subalpine forests in the Sierra Nevada. One of our most important initiatives has been to inventory postfire regeneration of tree species in dozens of fires around California – in both naturally regenerated and planted settings – and to use these inventories and subsequent monitoring to develop tools that managers can use to better plan where and when to conduct supplemental planting, as well as what to plant. This work is just beginning to result in publications (Welch et al. 2016; Shive et al. 2018; Young et al., two manuscripts in review; Richter, study in progress; Weeks, study in progress). Christina Restaino (a recent alumna) and multiple other members of the lab are currently finishing a review of published studies of natural postfire conifer regeneration success across the western US. Together with the Regional Ecology Program staff, members of the lab recently helped to complete assessments of the natural range of variation (NRV) for major terrestrial ecosystem types in the Sierra Nevada. These documents review historical patterns in ecological function, structure, and composition, compare them to current conditions, and summarize future projections where available. These assessments are fundamental building blocks for the new National Forest plans being developed in California, as well as other scientific and management priorities. Safford and Stevens (2017) covers yellow pine and mixed conifer forests, and an NRV assessment of Sierra Nevada upper montane and subalpine forest is in press. Eight other NRV assessments were completed, and plans are being made to publish them. The relationships between ecosystem productivity and disturbance and their interactive (and isolated) effects on biodiversity are a major focus of the Safford lab. We have worked for years in vegetation of ultramafic (“serpentine”) soils, using them as a model system to study how productivity gradients influence disturbance effects on species. Field studies include grazing effects on plant diversity (Safford and Harrison 2001, Harrison et al. 2003) and fire effects on diversity and ecosystem structure (Safford and Harrison 2004, 2008; DeSiervo et al. 2015; Chhaya Werner, study in progress). Safford and Mallek (2010) reviewed the research on this general subject. Currently Carrie Levine is leading a study of the interacting effects of grazing pressure and ecosystem productivity (using various soil types) on annual grassland composition and functional types, based on grazed vs ungrazed paired plots at over 30 sites. We are also heavily involved in studies of forest management effects on plant diversity, including the effects of forest thinning and prescribed fire (Stevens et al. 2014, 2015; Winford et al. 2015), and the effects of postfire management (Bohlman et al. 2016; Shive et al. 2017). More recently, we are studying the effects of fire severity and environmental covariates on plant diversity (DeSiervo et al. 2015, Stevens et al. 2015; Clark Richter, study in progress; Jonah Weeks, study in progress; Emily Brodie, study in progress). Jesse Miller recently led a study evaluating the effects of fire severity on the lichen community of yellow pine and mixed conifer forests in the Sierra Nevada (Miller et al. 2018). Jesse is also leading a review paper summarizing the published patterns in fire effects on plant diversity across the western US. In addition, Jesse is leading an analysis of the relative influence of local fire severity and pyrodiversity (landscape-scale heterogeneity in fire severity) on post-fire plant diversity in several Sierra Nevada fires. Using fires in the Sierra Nevada, Zack Steel is partnering with Point Blue Conservation Science to study the effects of fire severity on bird and bat diversity. The Safford lab has collaborated with partners to use historical forest inventory data to test the ability of species distribution models to accurately predict future conditions for hundreds of California species, and we have explicitly explored the role of fire in driving model results and actual species responses (Dobrowski et al. 2011, Crimmins et al. 2014). We have investigated the possible future impacts of climate change and fire on the distribution of sensitive, management indicator species in California (Lawler et al. 2012). We have also compared model projections with actual trends in high elevation forests (Dolanc et al. 2013a), and we have developed models of growth-climate relationships in high elevation species that can be used as a basis for future projections (Dolanc et al. 2013b). In southern California, we have worked with partners to better characterize the nature of wildfires, with the aim of informing the development of environmentally sensitive but effective fuel management strategies that can deal with projected future increases in fire activity (Safford 2007b, Keeley et al. 2009, Safford and Van de Water 2014). In southern California, one of the major issues is balancing the need to protect humans, infrastructure, and sensitive ecosystems from anthropogenic fire while at the same time safeguarding the ability of flammable ecosystems like chaparral to continue to provide important ecosystem services. Members of the Safford lab and the Ecology Program were co-editors of a book entitled Valuing Chaparral: Ecological, Socioeconomic, and Management Perspectives that was published in early 2018 by Springer. The book includes a number of chapters authored by Safford Lab members, including Safford et al. (2018a, 2018b), Molinari et al. (2018), Underwood et al. (2018), and Garnache et al. (2018). In concert with the Regional Ecology Program, the Safford lab plays an important role in Forest Service efforts to develop management strategies and plans that are cost effective; increase ecosystem resilience; protect and sustain key species, resources, and ecosystem services; and maximize management flexibility in the face of rapid and often unpredictable environmental change (e.g., Hayward et al. 2009, Richardson et al. 2009, Schwartz et al. 2012, Wiens et al. 2012). We have demonstrated that forest fuel treatments, when properly employed, can play an important role in reducing forest mortality to wildfire, in maintaining living stocks of carbon in fire-prone forests, and in restoring forest structure (Safford et al. 2009, 2012c, Carlson et al. 2012, Winford et al. 2015). Tara Ursell is leading a study that is examining the ecological and economic costs and benefits of different postfire management tactics that are currently used or may be used in California. 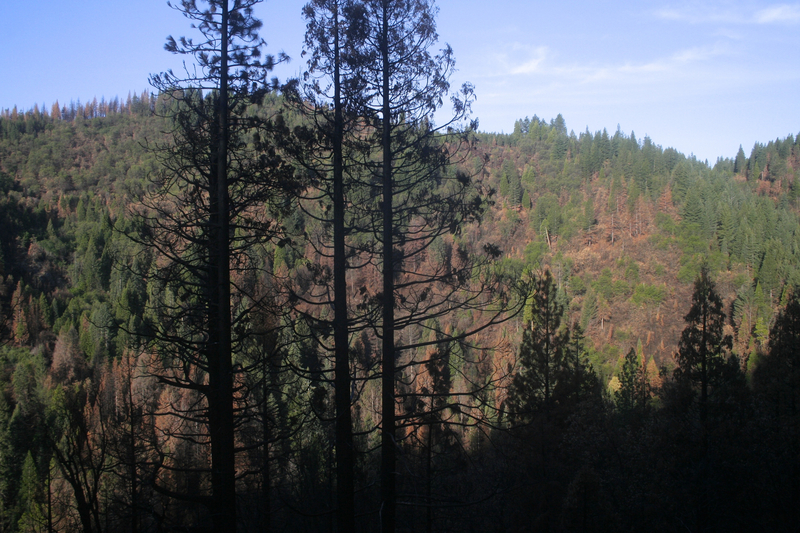 We have played and continue to play a key role in the Forest Planning process in California, and we recently helped to develop a postfire management strategy template for National Forests involved in restoration of severely burned areas. One of the lab’s major roles, in concert with the Ecology Program, is to act as a boundary spanning organization that can serve the important roles of providing objective, up-to-date science to managers, as well as management input and feedback to researchers. Safford lab and Ecology Program members were part of an NCEAS working group that recently published a special issue in Frontiers in Ecology and the Environment about the practice of translational ecology and the importance of boundary spanning (e.g. Enquist et al. 2017, Safford et al. 2017). The Safford lab is also engaged in numerous international projects. These include ecology and paleohistorical reconstructions of mountain ecosystems in the Brazilian Atlantic Rainforest (Safford 2001, 2007a; Behling and Safford 2010, Veríssimo et al. 2012, etc. ), forest structure and fire severity in Mexican conifer forests (Dunbar-Irwin and Safford 2016; Rivera et al. 2016), postfire succession of serotinous conifers in Turkey (Kavgaçι et al. 2016), and expanding Spanish postfire restoration decision support tools to the US (ongoing work, led by Emma Underwood and Becky Wayman). We are currently expanding our collaborations with the Mexican Park Service (CONANP) and Forest Service (CONAFOR) in ecology and management of Baja California forested ecosystems, most recently helping in the effort to develop new fire management plans for the national parks of northern Baja California. Ongoing work in Mexico includes fire severity mapping and fuels management in the northern Baja California national parks (Hiram Rivera), field calibration of LiDAR data in the Sierra de San Pedro Mártir (Haley Wiggins, paper in review), and use of non-fire suppressed Mexican forests to test the validity of using early forest survey data from the US to estimate forest conditions (Carrie Levine). Most of our international work is technical assistance and does not result in peer-reviewed publications. Some recent examples include helping to run the International Seminar on Climate Change and Natural Resource Management, a joint project with UC-Davis and the US Forest Service International Programs office (Safford); studying postfire restoration tactics in Greece and Iberia (Safford and Shive); consulting with the Brazilian Park Service (ICM-Bio) on climate change adaptation options in mountain ecosystems and fire use in ecosystem management (Safford); providing field vegetation inventory training to managers in Lebanon (Gabrielle Bohlman); reviewing fuel treatments and forest management practices in Israel (Safford); and providing general support to forest management in Tunisia (Safford). Behling, H., and H.D. Safford. 2010. Late-glacial and Holocene vegetation, climate and fire dynamics in the Serra dos Órgãos, Rio de Janeiro State, southeastern Brazil. Global Change Biology 16: 1661-1671. Bohlman, G.N., M.P. North, and H.D. Safford. In review. Shrub control in reforested postfire areas increases plant species richness. Crimmins, S., S.Z. Dobrowski, A. Mynsberge, and H.D. Safford. 2014. Can fire atlas data improve species distribution model projections through time? Ecological Applications 24: 1057- 1069. DeSiervo, M.H., E. Jules, and H.D. Safford. 2015. Disturbance response across a productivity gradient: postfire vegetation in serpentine and non-serpentine forests. Ecosphere 6(4): Article 60. Dolanc, C.R., H.D. Safford, S.Z. Dobrowksi, and J.H. Thorne. 2014. Twentieth century shifts in abundance and composition of vegetation types of the Sierra Nevada, CA, USA. Applied Vegetation Science 17: 442-455. Dolanc, C. R., J. H. Thorne, and H. D. Safford. 2013a. Widespread shifts in the demographic structure of subalpine conifers in the Sierra Nevada, California, 1934 to 2007. Global Ecology and Biogeography 22: 264-276. Dolanc, C.R., R. Westfall, H.D. Safford, J.H. Thorne, and M. Schwartz. 2013b. Growth-climate relationships for six subalpine tree species of the central Sierra Nevada, CA, USA. Canadian Journal of Forestry 43: 1114-1126. Dobrowski, S. Z., J. H. Thorne, J. A. Greenberg, H. D. Safford, A. R. Mynsberge, S. M. Crimmin, and A. K. Swanson. 2011. Modeling plant ranges over 75 years of measured climate change in California, USA: temporal transferability and species traits. Ecological Monographs 81: 241-257. Dobrowski, S. Z., Safford, H. D., Rueda, C., and Ustin, S. 2008. Mapping mountain vegetation using species distribution modeling, image-based texture analysis, and object-based classification. Applied Vegetation Science 11: 499-508. Enquist, C.E., S.T. Jackson, et al. (27 other authors). 2017. Foundations of translational ecology. Frontiers in Ecology and the Environment 15: 541-550. Harrison, S. P., Inouye, B., and Safford, H. D. 2003. Ecological heterogeneity in the effects of grazing and fire on grassland diversity. Conservation Biology 17: 837-845. Hayward, G. D., C. H. Flather, E. Uloth, H. D. Safford and D. A. Cleaves. 2009. Managing fish and wildlife habitat in the face of climate change: USDA Forest Service perspective. Transactions of the North American Wildlife and Natural Resources Conference 74: 98-109. Kavgaçı, A., E. Örtel, I. Torres, and H.D. Safford. 2016. Early postfire vegetation recovery of Pinus brutia forests: effects of fire severity, pre-fire stand type and aspect. Turkish Journal of Agriculture and Forestry 40: 723-736. Keeley, J. E., Safford, H. D., Fotheringham, C. J., Franklin, J., and Moritz, M. A. 2009. The 2007 Southern California wildfires: lessons in complexity. Journal of Forestry 107: 287-296. Lawler, J. J., H. D. Safford, and E. H. Girvetz. 2012. Martens and fishers in a changing climate. Pp. 371-397, in K. B. Aubry (ed). Biology and Conservation of Martens, Sables, and Fishers: a New Synthesis. Cornell University Press, Ithaca, NY. Meyer, M. D., and H. D. Safford. 2011. Giant sequoia (Sequoiadendron giganteum) regeneration in groves exposed to wildfire and retention harvest in the southern Sierra Nevada. Fire Ecology 7(2): 2-16. Miller, J. D., and Safford, H. D. 2008. Sierra Nevada fire severity monitoring 1984-2004. Publication R5-TP-027. USDA-Forest Service, Pacific Southwest Region, Vallejo, CA, USA. Miller, J.D., and H.D. Safford. 2012. Trends in wildfire severity 1984-2010 in the Sierra Nevada, Modoc Plateau and southern Cascades, California, USA. Fire Ecology 8: 41-57. Miller, J. D., C. N. Skinner, H. D. Safford, E. E. Knapp, and C. M. Ramirez. 2012. Trends and causes of severity, size, and number of fires in northwestern California, USA. Ecological Applications 22: 184-203. Miller, J.E.D., H. Root, and H.D. Safford. 2018. Altered fire regimes cause long-term lichen diversity losses. Global Change Biology. Molinari, N.A., E.C. Underwood, J.B. Kim, and H.D. Safford. 2018. Climate change trends for chaparral. Chapter 15, in: E.C. Underwood, H.D. Safford, N.A. Molinari, and J.E. Keeley, eds. Valuing chaparral: ecological, socioeconomic, and management perspectives. Springer, London, UK. Richardson, D. M., J. J. Hellmann, J. McLachlan, D. F. Sax, M. W. Schwartz, J. Brennan, P. Gonzalez, T. Root, O. Sala, S. H. Schneider, D. Ashe, A. Camacho, J. R. Clark, R. Early, J. Etterson, D. Fielder, J. Gill, B. A. Minteer, S. Polasky, H. Safford, A. Thompson, and M. Vellend. 2009. Multidimensional evaluation of managed relocation. Proceedings of the National Academy of Sciences 106: 9721-9724. Rivera, H., H.D. Safford, and J.D. Miller. 2016. Patterns and trends in burned area and fire severity 1984-2010 in the Sierra de San Pedro Mártir, Baja California, México. Fire Ecology 12: 52-72. Safford, H. D. 2001. Brazilian páramos III. Patterns and rates of postfire regeneration in the campos de altitude. Biotropica 33: 282-302. Safford, H. D. 2007a. Brazilian páramos IV. Phytogeography of the campos de altitude. Journal of Biogeography 34: 1701-1722. Safford, H. D. 2007b. Man and fire in Southern California: doing the math. Fremontia 35(4): 25- 29. Safford, H. D. 2008. Fire and ultramafic vegetation in northern California. In: 6th International Conference on Serpentine Ecology, Program and Abstracts (N. Rajakaruna, et al., org. ), p. 6. College of the Atlantic, Bar Harbor, Maine, USA. Safford, H. D., Betancourt, J. L., Hayward, G. D., Wiens, J.A, and Regan, C.A. 2008. Land management in the Anthropocene: is history still relevant? Eos 89: 343. Safford, H. D., and Harrison, S. P. 2001. Grazing and substrate interact to affect native vs. exotic diversity in roadside grasslands. Ecological Applications 11: 1112-1122. Safford, H. D., and Harrison, S. P. 2004. Fire effects on plant diversity in serpentine versus sandstone chaparral. Ecology 85: 539-548. Safford, H. D., and Harrison, S. P. 2008. The effects of fire on serpentine vegetation and implications for management. Proceedings of the 2002 Fire Conference on Managing Fire and Fuels in the Remaining Wildlands and Open Spaces of the Southwestern United States. December 2-5, 2002, San Diego, CA. General Technical Report PSW-189. USDA-Forest Service, Pacific Southwest Research Station, Albany, CA, USA. Safford, H. D., G. Hayward, N. Heller, and J. A. Wiens. 2012a. Climate change and historical ecology: can the past still inform the future? Pp. 46-62, in: J. A. Wiens, G. Hayward, H. D.
Safford, and C.M. Giffen (eds). Historical environmental variation in conservation and natural resource management. John Wiley and Sons, New York, NY. Safford, H. D., Hellmann, J. J., McLachlan, J., Sax, D. F., and Schwartz, M. W. 2009. Managed relocation of species: Noah’s ark or Pandora’s box? Eos 90: 15. Safford, H. D., and C. R. Mallek. 2010. Disturbance and diversity in low productivity ecosystems. Pp.249- 274, in: S. P. Harrison and N. Rajakaruna (eds). Serpentine. The evolution and ecology of a model system. University of California Press, Berkeley, CA. Safford, H.D., S.C. Sawyer, S. Kocher, K. Hiers, and M. Cross. 2017. Linking knowledge to action: the role of boundary spanners in translating ecology. Frontiers in Ecology and the Environment 15: 560-568. Safford, H. D., D. A. Schmidt, and C. Carlson. 2009. Effects of fuel treatments on fire severity in an area of wildland-urban interface, Angora Fire, Lake Tahoe Basin, California. Forest Ecology and Management 258: 773-787. Safford, H.D, and J.T. Stevens. 2015. Natural Range of Variation (NRV) for yellow pine and mixed conifer forests in the Sierra Nevada, southern Cascades, and Modoc and Inyo National Forests, California, USA. General Technical Report PSW-GTR-256, USDA Forest Service,Pacific Southwest Research Station, Albany, CA. Safford, H.D., J.T. Stevens, K. Merriam, M.D. Meyer, and A.M. Latimer. 2012c. 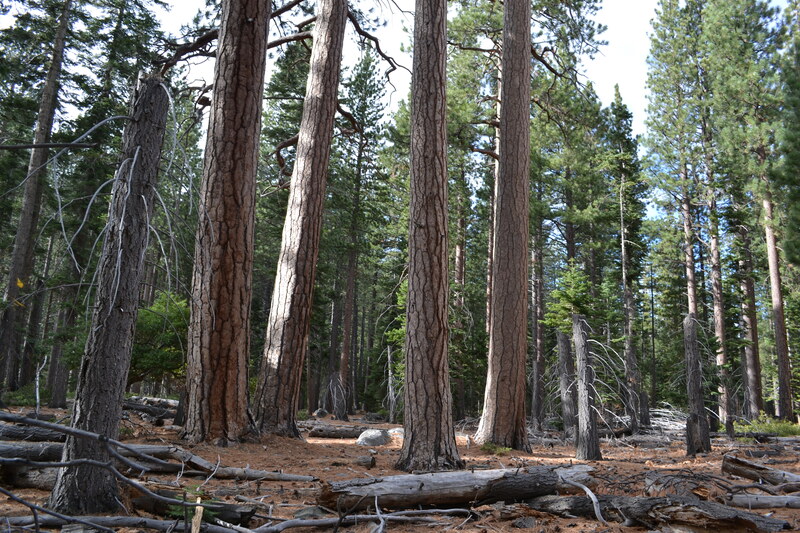 Fuel treatment effectiveness in California yellow pine and mixed conifer forests. Forest Ecology and Management 274: 17-28. Safford, H.D., E.C. Underwood, and N.A. Molinari. 2018a. Managing chaparral resources on public lands. Chapter 16, in: E.C. Underwood, H.D. Safford, N.A. Molinari, and J.E. Keeley, eds. Valuing chaparral: ecological, socioeconomic, and management perspectives. Springer, London, UK. Safford, H.D., E.C. Underwood, N.A. Molinari., and J.E. Keeley. 2018b. The past, present, and future of California chaparral. Chapter 16, in: E.C. Underwood, H.D. Safford, N.A. Molinari, and J.E. Keeley, eds. Valuing chaparral: ecological, socioeconomic, and management perspectives. Springer, London, UK. Safford, H.D., and K.M. Van de Water. 2014. Using Fire Return Interval Departure (FRID) analysis to map spatial and temporal changes in fire frequency on National Forest lands in California. Research Paper PSW-RP-266, USDA Forest Service, Pacific Southwest Research Station, Albany, CA. Shive, K.L., B.L. Estes, A. White, H.D. Safford, K. O’Hara, and S.L. Stephens. 2017. Rice straw mulch for post-fire erosion control: assessing non-target effects on vegetation communities. International Journal of Wildland Fire 26: 538-550. Stevens, J.T., H.D. Safford, and A.M. Latimer. 2014. Wildfire-contingent effects of fuel treatments can promote ecological resilience in dry mixed conifer forests. Canadian Journal of Forest Research 44: 843-854. Van de Water, K. M., and H. D. Safford. 2011. A summary of fire frequency estimates for California vegetation before Euroamerican settlement. Fire Ecology 7(3): 26-58. Verissimo, P., N., H. D. Safford, and H. Behling. 2012. Holocene vegetation and fire history of the Serra do Caparaó, SE Brazil. The Holocene 22: 1243-1250. Wiens, J. A., G. Hayward, H. D. Safford, and C.M. Giffen (eds). 2012. Historical environmental variation in conservation and natural resource management. John Wiley and Sons, New York, NY. 337 p.
Winford, E.M., J.T. Stevens, and H.D. Safford. 2015. Fuel treatment impacts on the ecology of yellow pine and mixed conifer forests: a synthesis. California Agriculture. In press.